Why go? 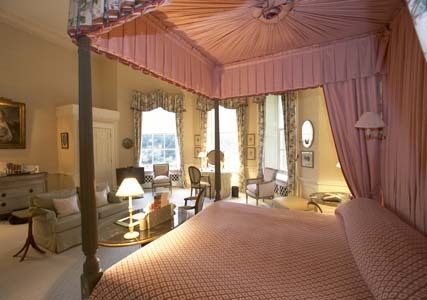 To relax in a Grade I-listed hotel owned by the National Trust with 90 acres of parkland. Best for: Downtime, fresh air, romantic walks though the grounds… Dating from the mid-18th century, Hartwell offers relaxed country house comforts mixed with aristocratic grandeur. Usually we’re only allowed to shuffle round these historic piles trying not to break anything, but here you get to slob on the sofas, marvelling at the ornate ceilings and monumental fireplaces and thinking how in your next life it would be rather handy to be a duchess. The look: Popular with weekending Londoners, celebrating couples, National Trust devotees and families getting together (but no children under four), Hartwell is unashamedly old school. Fit for royalty (the exiled King Louis XVIII of France lived here for five years from 1809), the main building combines Jacobean and Georgian features with a splendid Great Hall, Library and Morning Room. This is a place where they still bother to light the fires, with thoroughly professional service (including complimentary morning tea brought to your room), and affable porters in green uniforms with brass buttons. There are 30 rooms and suites in the main house, with the grandest on the first floor featuring four-poster beds and sumptuous period furnishings. Those on the top floor are more affordable but still generously sized with views over the grounds and access to a roof terrace. Another 16 rooms are set in the old riding school and suitable for dog owners. Wifi is free and there are good deals to be had if you stay mid-week or on Sunday night. I’m hungry… Dinner is served in the Soane Dining Room, which is designed to resemble an elegant room at 11 Downing Street. It’s a subdued and pricey affair so bring your conversation – dishes favour British produce, such as Cornish crab bisque (£13.45) and loin of venison flavoured with Lapsang Souchong tea (£32.45), with a glass of house wine from £6.50. Frankly, it’s more fun drinking cocktails (from £9.50) or having coffee and a nightcap in the hotel’s palatial lounges. A full breakfast costs £22.50, or pay another £6 and have it delivered to your room. While you’re there… Go walking in the flower-filled grounds with their mature trees, classical statues, sweet little octagonal church and a mile-long avenue of limes. You can fish in the lake and there are two tennis courts and croquet. There’s also a spa (open to non-residents), which offers a wide range of treatments and has a refreshing indoor pool, although the changing facilities are rather tired. Close by you can visit another historic National Trust house, Waddesdon Manor (waddesdon.org.uk), stretch your legs in the Chiltern Hills (chilternsaonb.org), or take advantage of the hotel’s leaflet outlining three circular scenic drives of around 60 miles. Dress code: “Smart please” – but a jacket and tie is not obligatory for chaps. Pearls would be appropriate, maybe ringlets too if you’re having a Jane Austen moment. 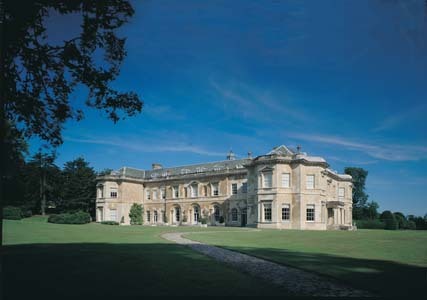 Book now: Hartwell House & Spa, Oxford Road, near Aylesbury, Buckinghamshire HP17 8NR (0800 089 3929; prideofbritainhotels.com). 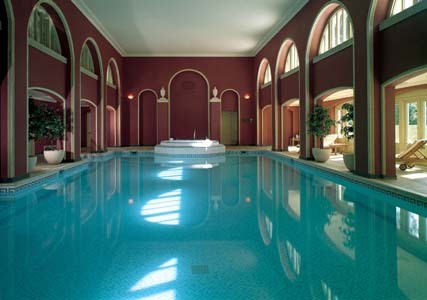 In May double rooms cost from £250 for two including breakfast, dinner to the value of £35 a head, and use of the spa. A taxi from Aylesbury rail station takes less than ten minutes and costs around £7.